Produktinformationen "Three Programs. The Way to Socialism. Antiauthoritarianism and Working- Class Movement"
Weiterführende Links zu "Three Programs. The Way to Socialism. 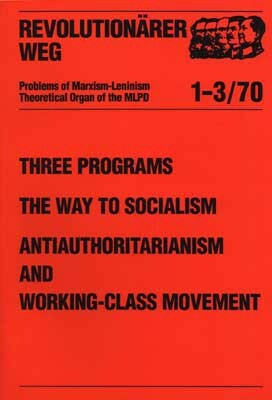 Antiauthoritarianism and Working- Class Movement"
Kundenbewertungen für "Three Programs. The Way to Socialism. Antiauthoritarianism and Working- Class Movement"